Easy one level living at its finest!! This beautiful two year old home shows like new! 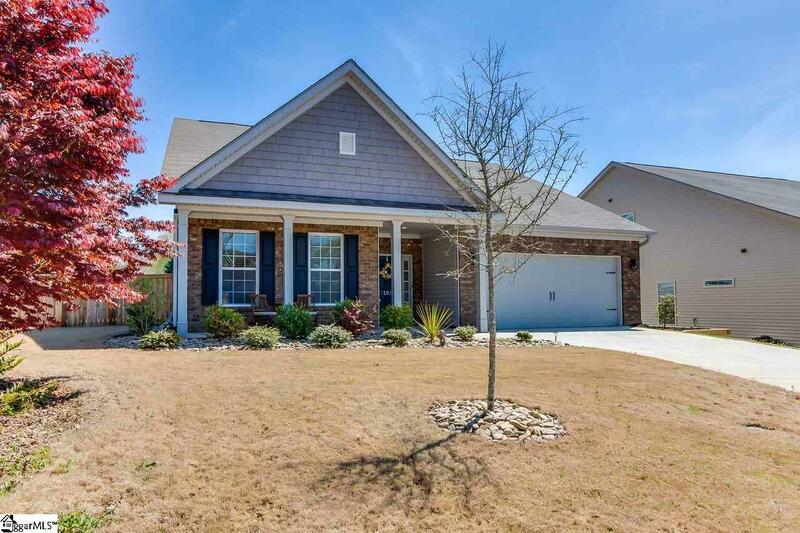 You will love the rocking chair front porch, brick accents and well manicured lawn. 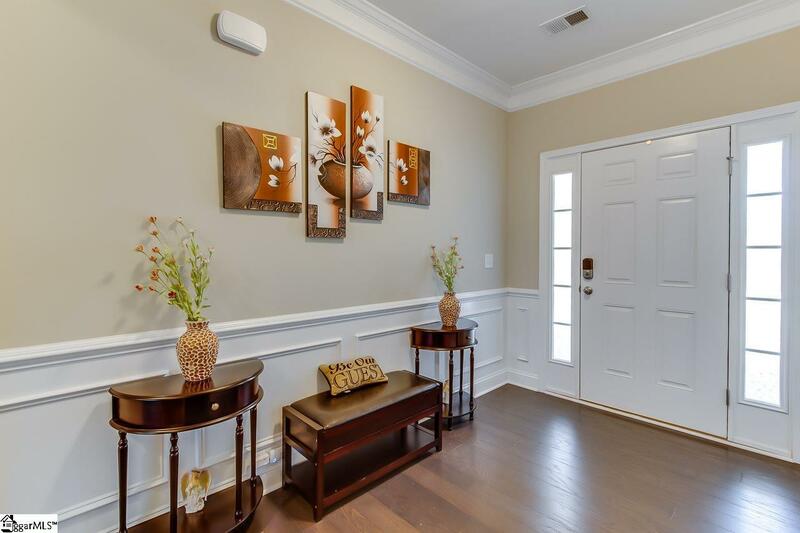 Inside the tall ceilings, gleaming hardwoods and crisp white trim are just gorgeous. 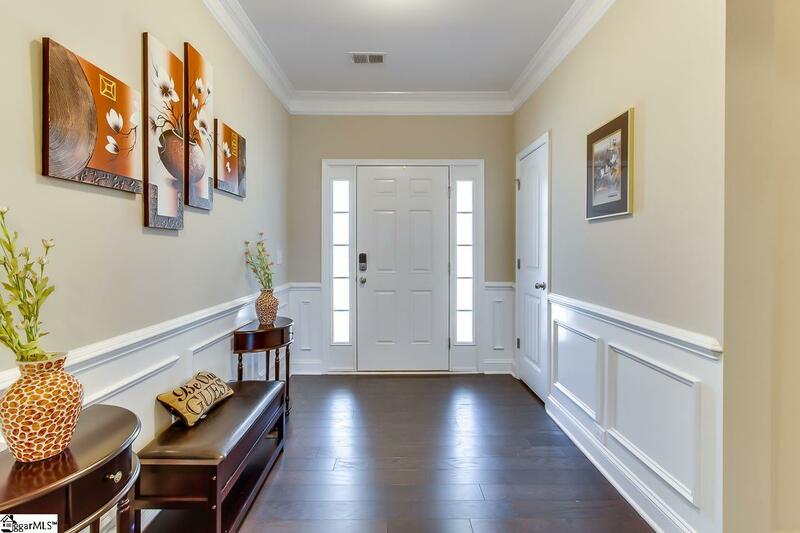 The wide foyer has a coat closet, chair rail and crown molding. The great room is the perfect spot for entertaining and features a gas log fireplace, multiple windows and opens into the amazing kitchen. The chef of the house will whip up gourmet meals in this stylish functional kitchen featuring granite counter tops, tile backsplash, walk in pantry, center island large enough for stools, stainless appliances including gas stove, pull out drawers, and pendant and recessed lighting. The dining area is a great place for your farm table and overlooks the private back yard. The extra large master bedroom has a trey ceiling, crown molding, multiple windows and a full bath with double sinks, granite vanity tops, multiple walk in closets and a custom tiled shower. The secondary bedrooms are a good size and share the hall full bath with granite counter top and soaking tub. There are tons of hall closets and storage spaces! The hallway to the walk in laundry room has a bench and is a great drop zone for shoes and coats. Outside you will love relaxing on the screened porch or the stone patio. Bring your grill and host BBQ's in the fenced back yard. All the lawn work will be easy with an in ground sprinkler system. 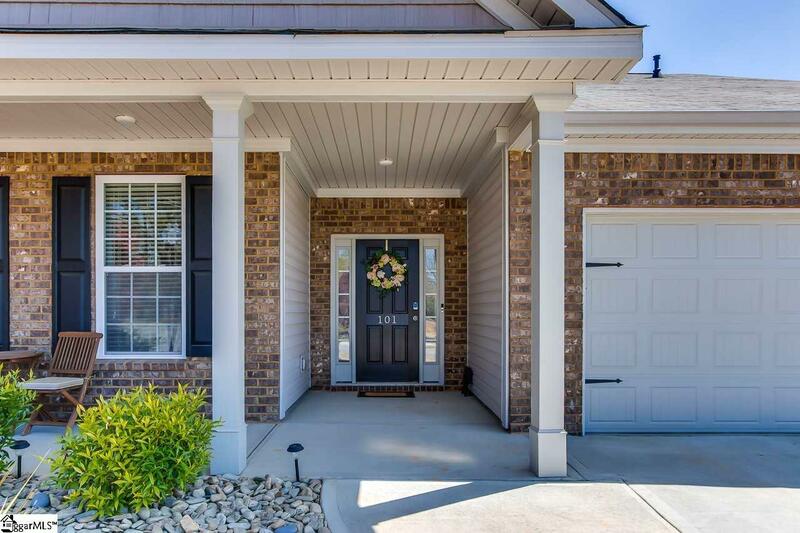 Great schools and minutes to 385 and Simpsonville or Greenville.